So many people are choosing to work out at home these days. I don’t only mean local jogs and bodyweight work either, there’s been a big increase in the use of home gym equipment. Home gyms don’t need to be big, oversized rooms filled with every type of machine, bench, rack and bar known to man. They can be small areas with a fold away machine or two, and some free-weights. Other people simply use a detachable doorway pull-up bar and work with a few different dumbbells, bands or even a weighted vest. There are all kinds of possibilities! 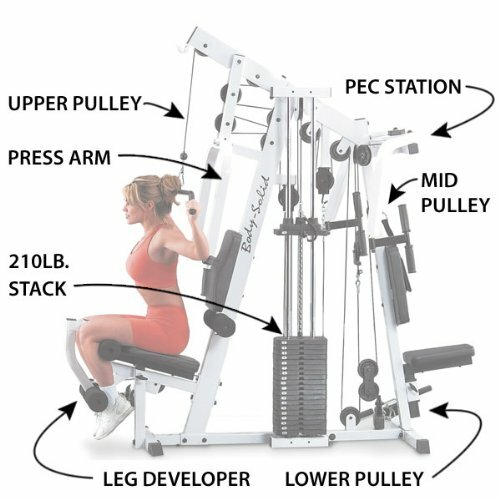 With the decision of home gym vs commercial gym having many factors to it, some people will prefer the use of home gym equipment more than others. Today we’re going to take a look at what’s available for those preferring a home gym, as we break down the best home gym equipment of 2018 so far. We will be giving our recommendations for specific categories and some recommendations between multiple choices, alongside an opinion on some big selling, specific products. 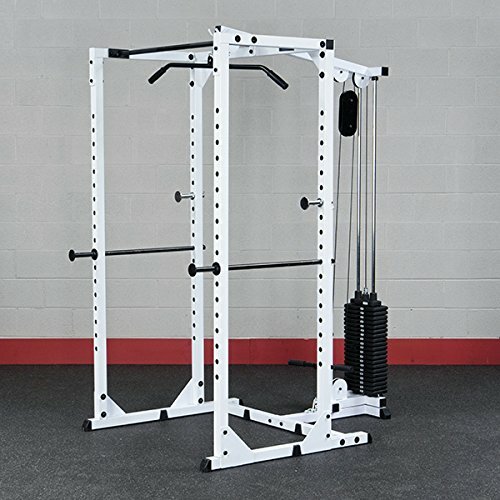 2 Titan Pull-Up Bar – Should You Buy One? Often newcomers to the world of exercise are unsure on the pro’s and con’s of different pieces of equipment. Because of this variety of drawbacks and benefits on either side, the recommendation is affected by your individual needs and preferences. With that said, generally we would recommend free weights over smith machines. The reason we recommend free weights is because they recruit more muscles to stabilize the weight. Free weights will also strengthen your ligaments and tendons as they are put under more pressure to keep everything in the correct position. Free weights are simple and cheap to get started with too. 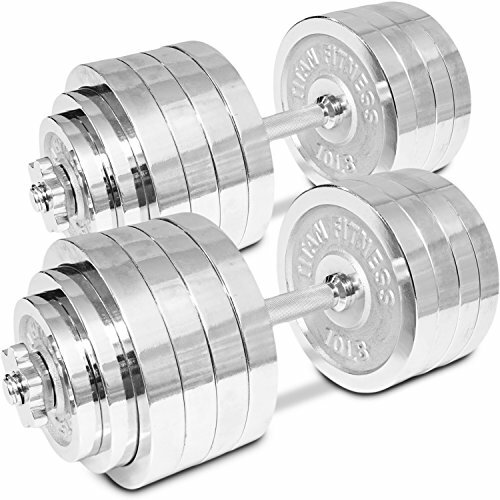 For example, a set of Titan dumbbells could be a cheap and efficient way to get started with free-weights. With that said, there are times when a smith machine could be better for you. This would be to correct a weakness or as a part of physiotherapy. They could also help you to push through a plateau and continue your progression. In these cases something like the Inspire Fitness FT2 smith machine would be ideal. Click here for our complete breakdown of smith machines vs free weights. Titan Pull-Up Bar – Should You Buy One? Pull-ups are one of the toughest bodyweight exercises to pull off, with a lot of people struggling to do even one. It’s a great display of overall fitness and strength to weight ratio to pull these off. They’re also a great exercise to continue your development, regardless of current fitness levels. The Titan pull-up bar has been a popular choice when it comes to home pull-up bars since its release. 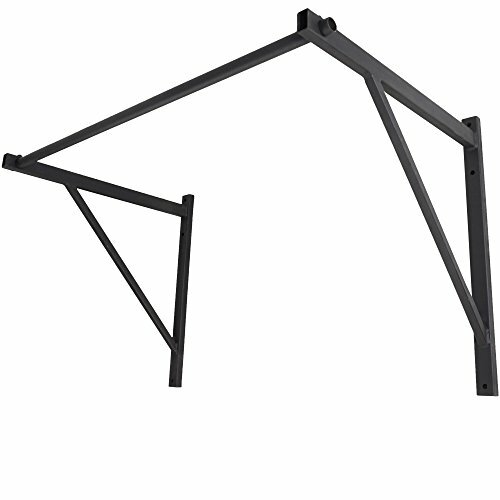 Overall we would recommend the Titan Pull-Up Bar as a great addition to any home gym. It adds a versatile piece of equipment which can really boost your development. Likewise it’s reliable and hard-wearing, plus it’s adjustable even though the bar is made to be placed on permanent brackets. Click here for our full Titan Pull-Up Bar review. 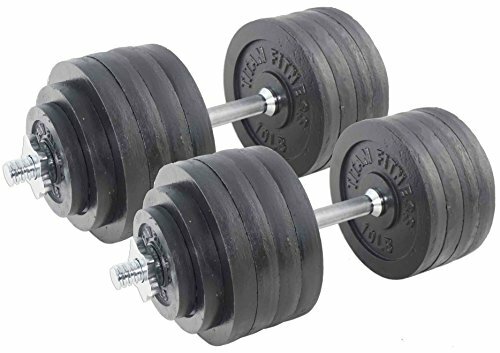 A respected brand when it comes to dumbbells and home gym equipment in general, Titan Fitness are known for their reliability and versatility. You can buy the dumbbell bars and add whatever weight plates you desire, or you can buy the fully adjustable Titan dumbbell. 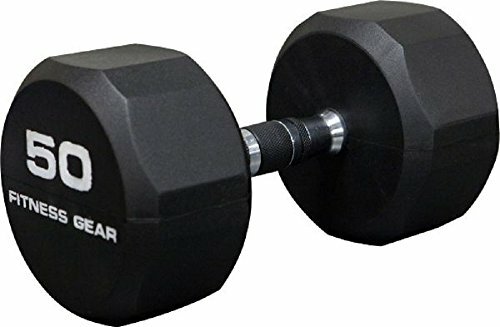 There are also some extremely nice hexagonal rubber coated dumbbells, very sturdy and nice to use though these aren’t recommended for home users because it’s expensive to stock an entire gym with these – and the point of training is usually to get stronger, so you’re going to end up buying quite a few sets. Likewise there is a lightweight neoprene set available. Click here for our complete breakdown of the best Titan fitness dumbbells. A popular alternative to Titan Fitness for dumbbells are Fitness Gear. If you’re the type of home gym user who loves free weights, and in particular dumbbells, then you’re certain to find something to your liking between Titan and Fitness Gear. In the case of Fitness gear you can’t buy adjustable dumbbells. You have three options to choose from, with only the first two providing heavier weights. Fitness Gear provide really high quality preset, cast dumbbells. These are available as rubber coated or full cast iron versions, with the full cast iron dumbbell being highly noted for reliability. The rubber coated dumbbells are better for people who have concerns about exposed iron weights causing damage. There are also neoprene dumbbells available from this brand, though these are at lighter weights only. Click here for our complete analysis of Fitness Gear Dumbbells. Back pain is becoming a major issue due to modern lifestyle habits, such as sitting for extended time periods. We have taken a close look at multiple pieces of equipment, and given our top recommendations by type of equipment. There are advantages and disadvantages to each type, with our overall recommendation going to the top eliptical trainer – theSchwinn 430. 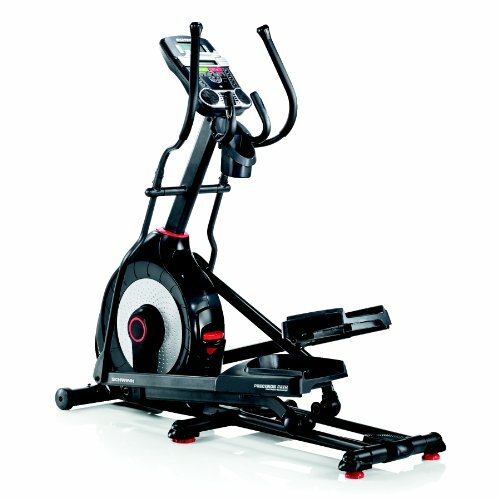 The Schwinn 430 Eliptical Trainer is a sturdy, dependable piece of equipment which gives a high level of comfort for less mobile users. That means you can use it regularly without aggravating an injury, and even as a part of the recovery process. It has multiple resistance levels to work through allowing plenty of development and gives a decent all-over workout, with a focus on that all-important cardiovascular fitness. Click here for our complete article about the best exercise equipment for a bad back. Body Solid have had a great year so far with their Home Gyms. They provide a whole range of choices, with differing levels of equipment and capabilities offered. Our overall top pick went to the StrengthTech EXM2500S home gym. Having been around for years you know that you can always rely on Body Solid to provide durable equipment, and the StrengthTech EXM2500S is exactly that. With a reasonable cost and a wide variety of stations/functions, this home gym gives a great return for a low investment. Coupling it with a good power rack or smith machine and some free weights would give you absolutely loads of versatility and function. Click here to check out our full breakdown of Body Solid Home Gyms. 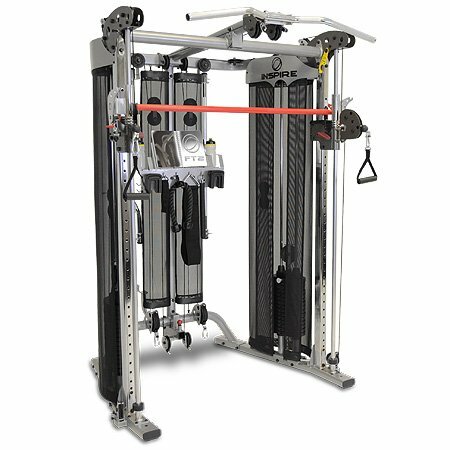 Again a big seller throughout the year, the Body Solid power rack is all about letting you do big lifts, safely, and in the comfort of your own home. With the rack being likely to last for years and capable of handling pretty much anything you throw at it, we gave it a thumbs up for home gym users everywhere. It incorporates great safety features with a high weight limit, and is incredibly easy to use. As a bonus this weight rack doesn’t really need much maintenance. 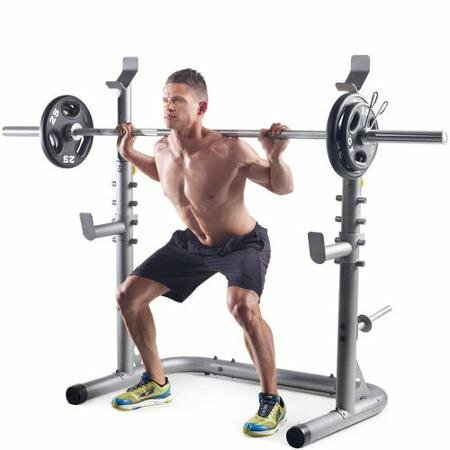 The power rack offers a lot of similar advantages to the smith machine whilst having a little more flexibility in range of movement. This can be a pro or a con depending on your needs, though on the whole we’d recommend the Body Solid power rack for most users. Click here to read our complete Body Solid Power Weight Rack review. You might recall that we previously recommended free weights over smith machines for most uses. That doesn’t mean a smith machine doesn’t have its’ own advantages. They are a great way to push forward at heavier weights while staying safe. The Inspire Fitness FT2 smith machine was our standout in this article where we break down the benefits and drawbacks of all the top smith machines on the market right now. Our top picks are analysed and broken down into top choices by budget, so there’s an option for everyone. Remember that a smith machine alone could neglect smaller muscle groups so while they do have advantages, use them as part of a balanced workout routine. Click here for our full breakdown of the best smith machines for your home. A popular brand for home gym equipment is Marcy. Generally they produce solid products but with the Marcy SM 4008 smith machine they have missed the mark. It is an ambitious unit which comes with a lot of add-ons to boost what you can do. There’s actually so many add-ons that it’s almost a complete home gym of its own. It has good safety mechanisms and a solid frame which holds up well. Our recommendation was to avoid this unit due to there being a number of smaller plastic parts which break easily and a weak pulley system. Likewise this one is known to be complex and time-consuming to put together. It’s a sizeable time and cash investment for a piece of equipment that could break in months. 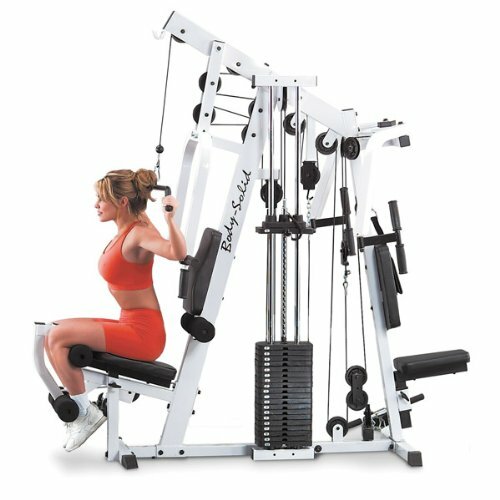 Our alternative to this smith machine? The StrengthTech EXM2500S Home Gym, plenty of safety and options with much more reliability. 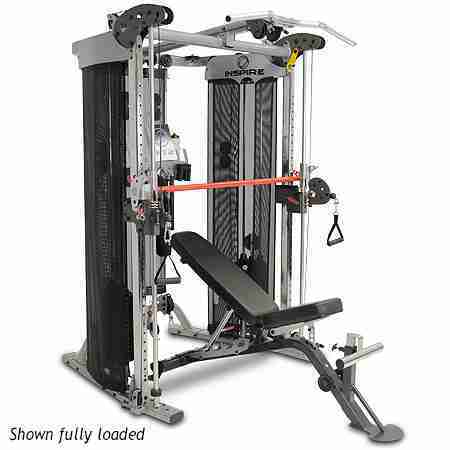 Click here to read our full review of the Marcy SM 4008 Smith machine. Another popular choice so far this year is the Golds Gym Platinum Smith Machine. This smith machine is selling based on the popular and well-known brand of Golds Gym. The problem is that the product doesn’t match the reputation. 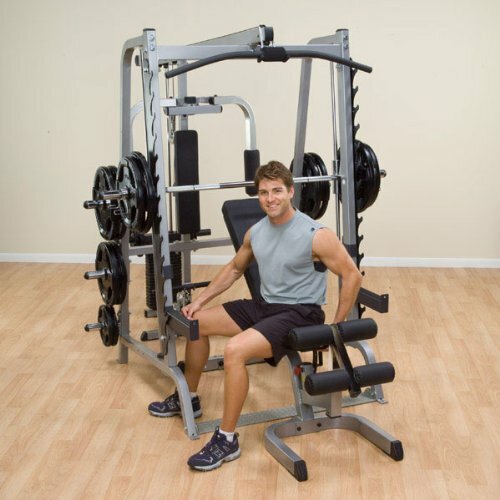 The Golds Gym Platinum Smith Machine has a number of weak, plastic parts and again is a smith machine with many add-ons at the expense of reliability and function. The gym could work for beginners who are able to get by with lighter weights. Using heavier loads can feel unstable on this unit, so heavier lifters should look to alternatives like the StrengthTech EXM2500S Home Gym. If you’re a beginner looking to get introduced and don’t mind the expense of a unit like this which may only be useful for a year or two, by all means go ahead and indulge yourself. Click here to read our full review of the Golds Gym Platinum Smith Machine. The Marcy MP1300 smith machine does a good job of living up to its’ brand name. With that said, it’s still only recommended for beginners or intermediate users. Beyond a certain load, the unit begins to become unstable. The max load is generally around 300 lbs. This isn’t a bad limit though it is low for more advanced lifters. This model can also suffer from some balance problems which may require a bit of anchoring work on your part. If you are intending to lift heavier we recommend a more stable, high-end unit such as the Body Solid Series 7 or the Marcy Diamond Elite. Click here to read our full review of the Marcy MP1300 smith machine.